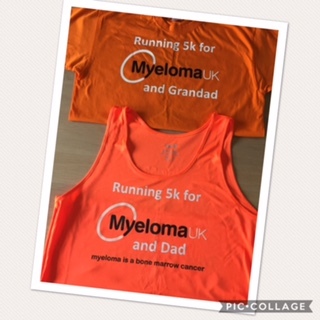 Sally Williamson, 48 from Sheffield is taking part in the city’s Big Fun Run at Rother Valley Country Park this Sunday, with the aim to raise £500 for Myeloma UK, a charity very close to her heart. Six years ago, Sally’s father was diagnosed with myeloma, a cancer which she says the general public know very little about. Sally tasked herself with getting ‘Fit for 50’. As someone who considers herself as never being physically fit, she decided to follow the Couch to 5K programme as an incentive to get her through the winter months. It was then she decided Big Fun Run Sheffield was a great way to kill two birds with one stone. Reflecting on her achievements so far, Sally explains: “Born with mobility issues myself and never being confident at any physical activity at 48 years old, I decided it was time to give it a go and get Fit by 50. The Big Fun Run is a great opportunity to challenge myself without time pressures and a great way to raise funds for Myeloma UK! Big Fun Run Sheffield takes place on Sunday 13th August at 11am, and promises a fun, relaxed atmosphere which is the perfect challenge to set yourself in 2017. To find out more, visit www.bigfunrun.com.